Like Kerouac, Chris Porter was born and raised in Lowell, and he’s bringing the music back. A concert and festival promoter, Porter moved from the Boston music scene in the 1990s to Seattle, where he worked for years on that city’s long-running music and arts festival, Bumbershoot. Now, fresh off his first year as the talent booker at San Francisco’s prestigious Hardly Strictly Bluegrass festival, he’s coming back to Lowell to launch The Town and the City Festival. Running Friday and Saturday at venues throughout the city, the music and performing arts event features nationally recognized talent such as Kristin Hersh, Kingsley Flood, and the spoken-word artist Andrea Gibson, plus dozens more performers. 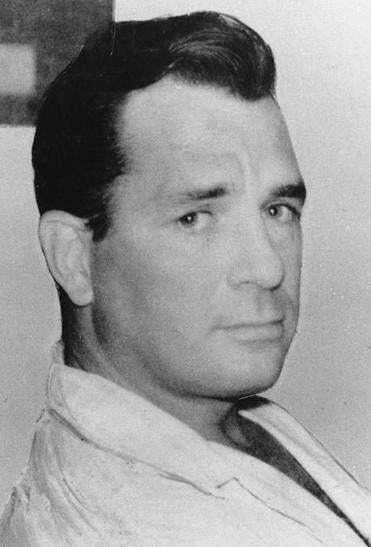 The festival is a tribute not so much to Kerouac’s writing, Porter says, but the broader spirit of wanderlust, open-mindedness, and the power of words that his writing represents. It’s also a celebration of the city itself. “If I can take what I’ve learned over the last 21 years and apply it to my old hometown, that would be super special to me,” he says. Other medium-size cities have become known for their own festivals, he notes — Boise’s Treefort Music Fest, Knoxville’s Big Ears Festival, Reykjavik’s Iceland Airwaves. “Why not Lowell?” he says. Gibson, who grew up in tiny Calais, Maine, on the Canadian border, can relate to Kerouac’s yearning to see the world, and also how he was continually drawn back home. “The first time I ever went to an open mic in Boulder, at a place called Penny Lane, there were a lot of poets with connections to Kerouac and [Allen] Ginsberg,” Gibson says. Gibson — who uses the nonbinary pronouns they and them — knows their work is often cited as political but doesn’t always see it that way. “The only truth is music,” Kerouac once said. Boston rapper Edo G, who tops a hip-hop bill Friday at the Old Court, has his own bit of wisdom about the power of words. His 1991 debut album, “Life of a Kid in the Ghetto,” helped put Boston on the hip-hop map. Edo G, born Edward Anderson, is a Roxbury native, but he has spent plenty of time in Lowell. Wreckless Eric, the punk-era singer who wrote the do-it-yourself cockney classic “Whole Wide World,” performs Friday at Gallery Z. He’s not quite a devoted Kerouac fan — “I did read ‘On the Road’ again a few years ago,” he says — but he does have some thoughts about the relationship between music and his adopted American home. He and his wife, songwriter Amy Rigby, live in the town of Catskill in upstate New York. “I have this thing about music and landscape which I can never quite explain,” he says. “I feel like Elton John had great success in America because his voice is kind of like a landscape. Like Tammy Wynette — you can hear the Mississippi River.” Likewise, Kerouac’s writing, which he called “spontaneous bop prosody,” is forever rolling over highways. And it’s often noted for its musical quality. For now, he just wants to create something memorable, for the performers, the attendees, and the city.